There is a growing number of Cypher Community PDFs -- and Creators – out there. I thought I’d start shining a light on the cool, daring and crazy stuff that’s worth your time. On the other hand, though, I’ll be lauding the good stuff when I see it. So I’ll be judging that sort of thing more on a Needs More Practice, Got it, and Dang! So we are off! 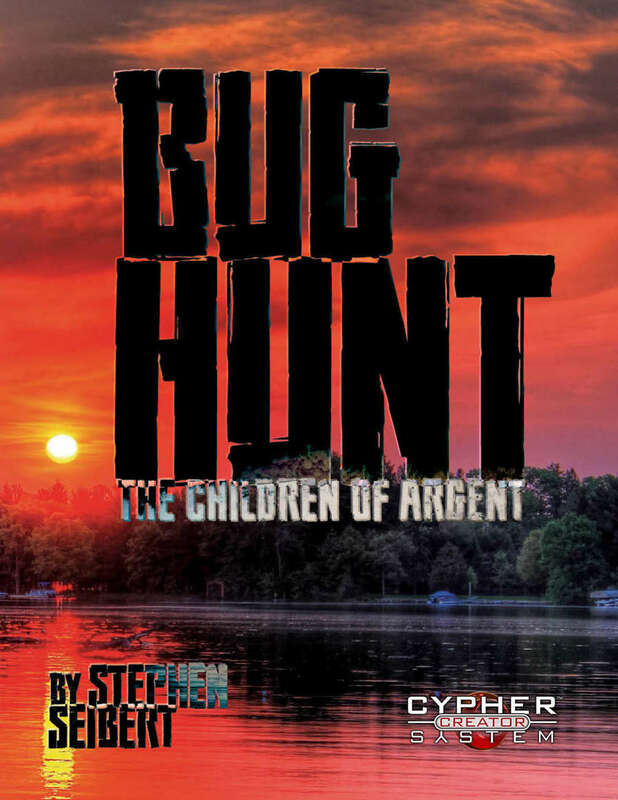 The first one up is the Tier 2 Bug Hunt: The Children of Argent adventure/mini-setting from Stephen Seibert and Charlotte Irrgang. The overall presentation of the product (and PWYW pregen PDF) is pretty much in the Got It category. The setup is cool, something I’ve been toying with so it makes me a little jealous that Stephen and Char got there first. Also, the art is fairly solid. The adventure and mini-setting is designed to be read all the way through first with the adventure and maps to be more like solid reminders of what happens next. It’s not much in the way of hand holding, but since most of Cypher is about improving and adapting on the fly it’s an easier sell to this crowd. It’s the post apocalypse with the spin that our end came from strange intelligent bugs that see humanity as either food or tools to be controlled. It’s a world of evolving xenomorphs set in the modern day with all of the crazy tropes that go with it. So it’s up to you and your redneck friends to just effin survive. A victory is re-calibrated to just slowing down the tide, not kicking them off our planet. The setting material offers tips and temptations to run the game as a short campaign with guidelines for tweaking Types to fit the mood better. Some may have wanted whole new Types for the game, but I can tell you from personal experience that not only are Types a challenge to build from the ground up (I’ve done several) just laying them out can be a chore that eats up your time. From a semi-pro with a day job perspective, it’s not a bad judgement call. I’ll wrap up with a Dang! shout out for the character sheet design. They look spot on professional and even the pregens are form-fillable, Kudos. If you are a Cypher creator or a big fan of one, reach out and let me know what you want to see next! And for those new to my Pateron, you might wonder who the heck am I? You can find me on DriveThruRPG as Ganza Gaming with 19 of my own Cypher Community Content PDFs including the “infamous” Mortal Fantasy. This is where I'm making worlds for agnostic systems and 5e and giving supporters a look behind the curtain on TTRPG industry.